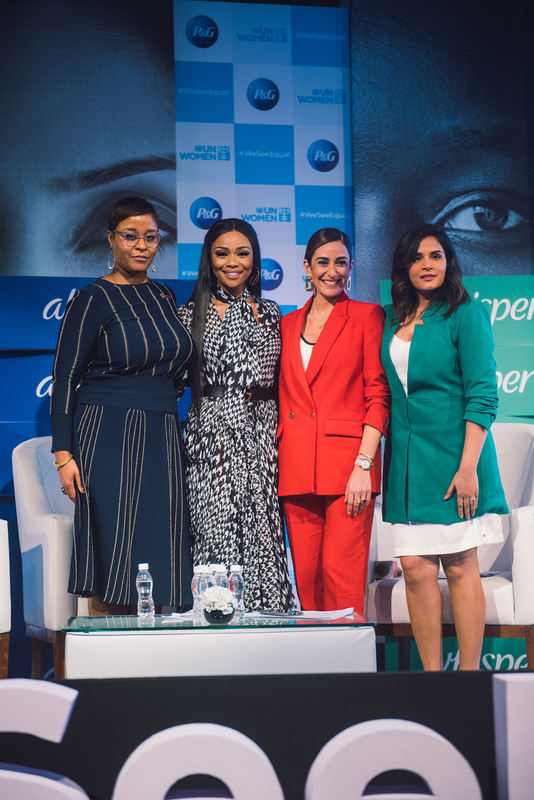 Equality advocate Amina Khalil expressed a renewed commitment to promote gender equality across India, the Middle East and Africa while addressing the audience during a Procter & Gamble summit, in partnership with UN Women, in Mumbai. Egyptian actress and philanthropist Amina Khalil has continued to inspire, support and empower women throughout her career. 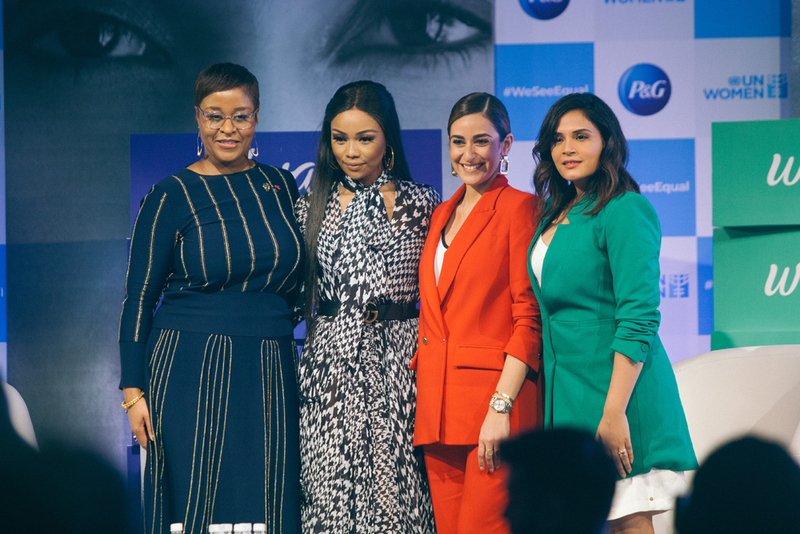 The "El Khaliya" ("The Cell") star, who believes in raising her voice to call for even more action on gender equality, used P&G’s inaugural #WeSeeEqual Summit as a platform to encourage others to follow suit. At the event, Khalil said she receives incredible support from women in her life and while education is extremely important for girls, social and family influences can make a big difference in their lives. She added that she often wonders why some cultures are dictated by traditions and societal pressures whilst the whole world is moving forward. “It’s about time we start letting go of all these traditions and try to think rationally about creating a gender equal world,” she said. Khalil, who was in an Always panel discussion with South African TV star, businesswoman and philanthropist Bonang Matheba and award-winning Indian actress Richa Chadha talked about the struggles of being an actress in Egypt and how numerous rejections trying to get into graduate school in the US didn’t stop her from following her dreams. She touched on body shaming, a topic she is particularly vocal about, and her refusal to let negativity on social media stop her from making her goals happen. Magesvaran Suranjan, Procter & Gamble’s IMEA (India, Middle East and Africa) and APAC (AsIa-Pacific) President, talked about the company’s reinvigorated commitment to gender equality across the IMEA region. “Creating a world free of bias with equal representation and equal voice for everyone is both the right thing to do and the right business choice,” Suranjan said. “We also want to spark conversations and change mindsets as champions for the cause of gender equality across the region. P&G will effectively use its unique strengths and advertising to tackle gender bias and foster women’s financial empowerment,” he added. Over the next three years, the company that has operations in approximately 70 countries worldwide aims to spend $100 million on working with female-owned businesses in the IMEA zone. P&G also has plans to educate more than 23 million young girls about puberty and hygiene. 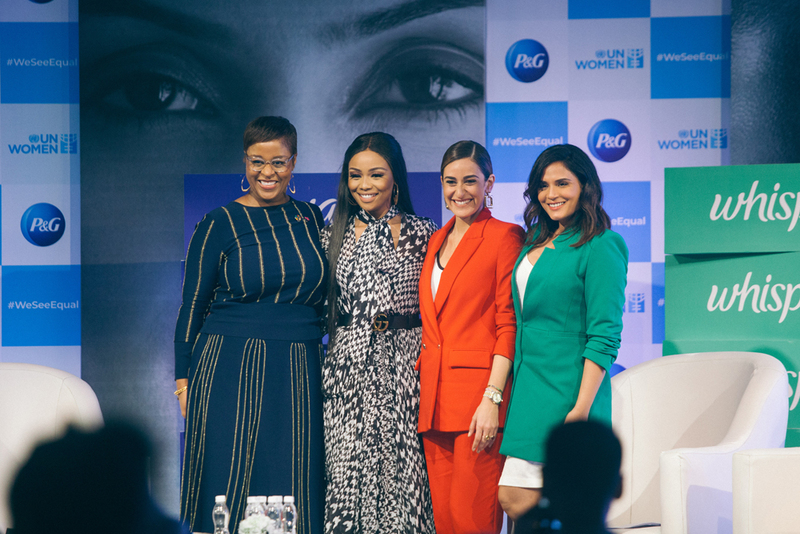 Forums such as the #WeSeeEqual Summit, brand advertising and multi-stakeholder efforts are part of P&G’s plan to spark conversation and motivate change. The summit, part of the company’s citizenship focus on being a Force for Good and Force for Growth, brought together business and government leaders, as well as influencers to share inspiration and insights around the myths that prevent fast action when it comes to gender equality. P&G hires an equal amount of women and men for its operations in Dubai, the regional headquarter. P&G was the first Fast-Moving Consumer Goods (FMCG) company in the Kingdom of Saudi Arabia to obtain a license to employ women, with 20% of its leadership team comprising of Saudi female nationals. The company is promoting positive perceptions of change through its advertising voice. Last year’s ‘Saudi Generation of Firsts’ campaign from Always was the first to be directed and produced only by women. Adverts and media coverage, including: ‘Like A Girl’ from Always, Ariel’s ‘Share The Load’ and Whisper’s ‘Touch the Pickle’. A focus on removing barriers to education for girls and economic opportunities for women through the company’s social impact programmes and advocacy efforts in partnership with organisations such as UN Women, WeConnect International, CARE, Sesame Workshop and Galli Galli Sim Sim. Internally, P&G is working to create an inclusive, gender-equal environment with 50-50 representation of men and women at all levels and all parts of the company. P&G employs women into 50% of its management roles worldwide, and female employees receive promotions into leadership roles at the same rate as male employees.